Paul is an avid rider and guest contributor to ZappaWheels. Read more about his story. I wanted to inform you that I am now living in Lilongwe, Malawi and continuing my work with the Peace Corps. It is an exciting position and an exciting place to be in the world. 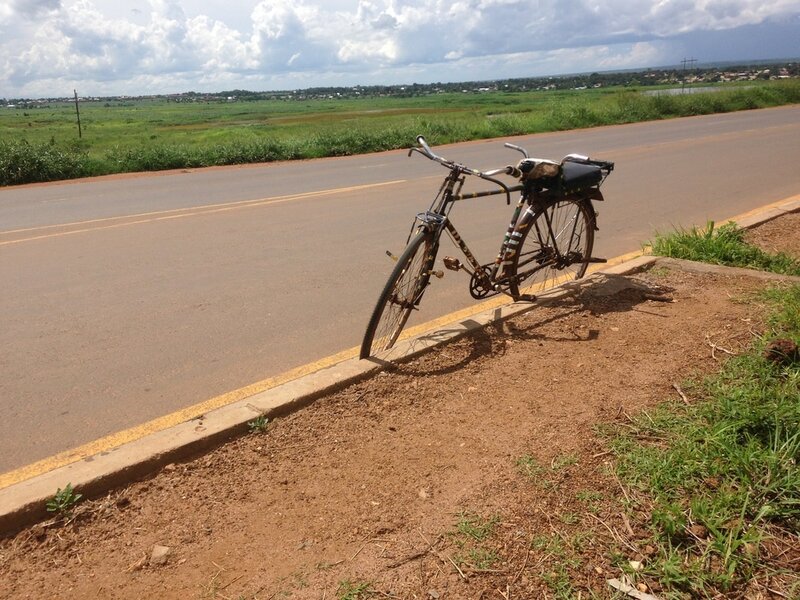 I intend to write a series of posts about Lilongwe in regards to bicycle community and bike culture. My first article is meant to give you a sense of Lilongwe's layout and the bicycle community that has developed around it. Through this series, I hope to promote bicycle awareness in Lilongwe as well as relate the bicycle experience here to you, wherever you are located. The picture above is of the largest city in Malawi, Lilongwe. Despite the deceptive corn field foreground, Lilongwe is a city of 1 million people and every year it grows. Lilongwe's design initially began in the 1970s. The new Life President, Hastings Kamuzu Banda decided to move the capital from Zomba, an old colony city, to Lilongwe. Before he did, Lilongwe was a town of around 20,000 people in 1966. It was the perfect clean slate to build Malawi's new great capital.​ Roads and infrastructure could be designed to fit the needs of the soon-to-be booming city. That is to say designed with the automobile in mind and the bicycle in the rear view mirror. Lauren is a lifelong rider and guest contributor to ZappaWheels. 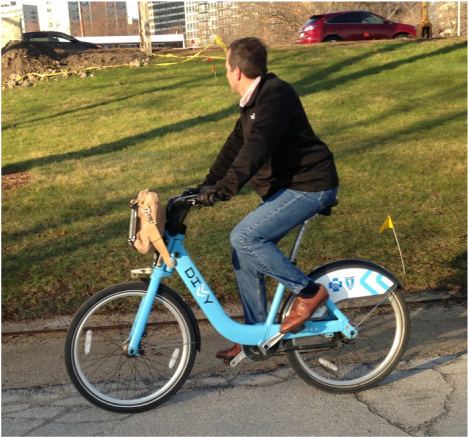 Bicycle commuting isn’t just for urban dwellers. With an open mindset and a bit of pre-planning, anyone can do it! I started bike commuting to work in September almost two years ago. It's a quick, easy ride for me, less than 10 miles round-trip. Now, regardless of what the day will bring, I begin each day with the satisfaction of knowing I've already exercised. ​It wasn’t always this way. Before 2015, I worked at a school across town, about a 25 minute commute by car. There was not a direct or safe route for me to travel by bicycle. Often, I would take my bike with me so I could get in a ride after work, while it was still daylight and still before rush hour. However, I wasn’t getting in the miles that I wanted. So, when a position opened up at a school closer to home, I jumped at the opportunity for less travel time and the ability to ride to work. How LEDs are Making Cycling Safer. 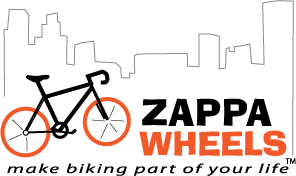 Improving the safety of bicycle commuting is a key concern for the team at ZappaWheels. In this posting, we take a look at LED technologies which are increasing the visibility of riders. The article is courtesy of freelance writer Jenny Holt, who is based in the UK. Safety while riding a bicycle is one of the concerns preventing more people from cycling. 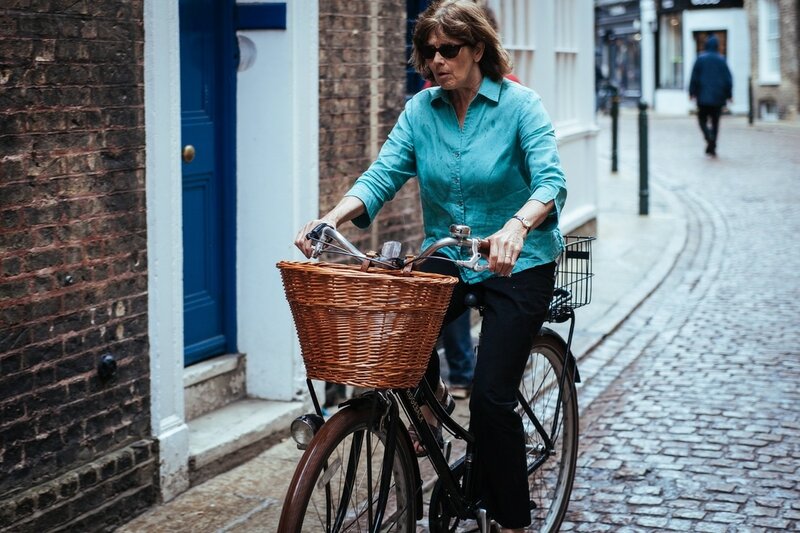 According to the survey of the European Commission, there are only 4% of UK respondents who cycle daily. This is one of the lowest percentages in the EU 28 although bike ownership or access to it in the UK is high with 42% of people or around 25 million owning a bicycle. Other European countries have cycle rates of 43% in the Netherlands, 30% in Denmark and 20% in Finland. Alternatives to the Car: One Neighborhood at a Time. 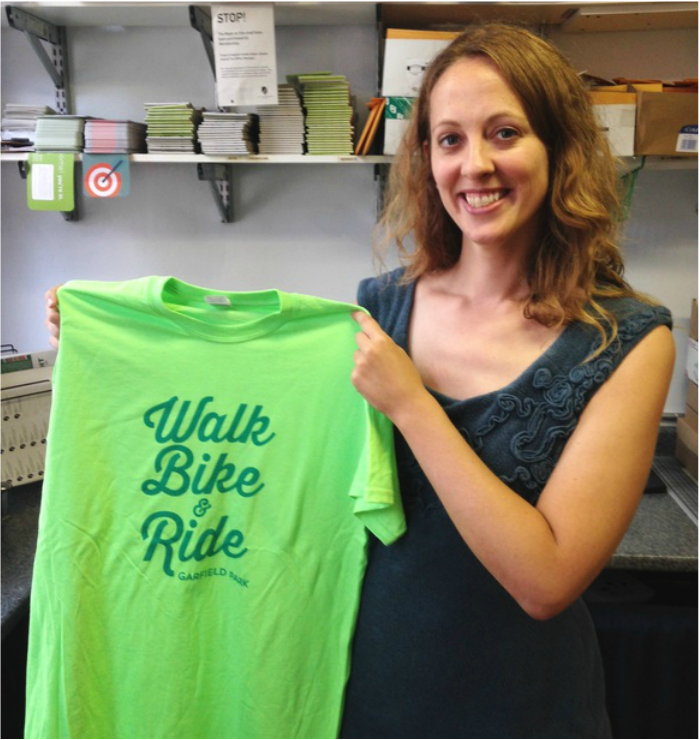 "Go" Campaign Project Manager, Maggie Melin shows off the Go Garfield Park shirt. Photo: ZappaWheels. Over the past four years, an experiment in changing transportation behavior within local neighborhoods has been playing out in Chicago. The purpose is to get people out of their cars and introduce them to new forms of transportation such as biking, walking and public transit. And ideally to make a small change in transportation behavior. Dubbed the "Go" Campaigns, the effort has impacted five local Chicago communities over the past four summers including Pilsen, Bronzeville, Albany Park, Edgewater, and most recently Garfield Park. ​The campaigns are a comprehensive effort at building awareness for local engagement with transportation options besides driving alone. Most impressively, they are getting results.